Rev. 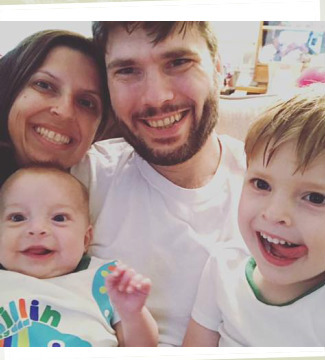 Nick Jordan, his wife Melinda, and their sons, Milo and Thomas, moved to Bartonville in July 2014. (Okay, Thomas didn't arrive till 2016.) Immediately before that, Nick had worked both as a hospital chaplain and a Starbucks barista. He completed his M.Div. at Duke Divinity School in 2009 and a Clinical Pastoral Education (CPE) residency at Duke University Hospital in 2010. Nick also sometimes writes on his personal blog, Mostly Consolation. Return to "Our Church or "Our Pastor"